The Every Kid in a Park program fully funds a trained and fingerprinted nature specialist from CSUC to go into 4th grade classrooms around Butte County and do a brief educational presentation on enduring nature themes (trees, wildlife, clean air/water), outdoor recreation opportunities, and timely conservation topics such as plastic pollution and tree mortality. The length of presentation is approximately 20-60 minutes but can be customized by the teacher with the coordinator. After the presentation, all 4th grade students are provided a year-long entrance pass to our national forests, parks, lakes and other protected lands for them and their families. 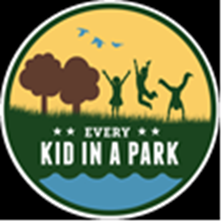 This opportunity for kids has is sponsored by USDA Forest Service. There is no catch – 4th grade teachers simply need to contact the coordinator via email or phone and request a date/time for a facilitator to come out to their classroom.